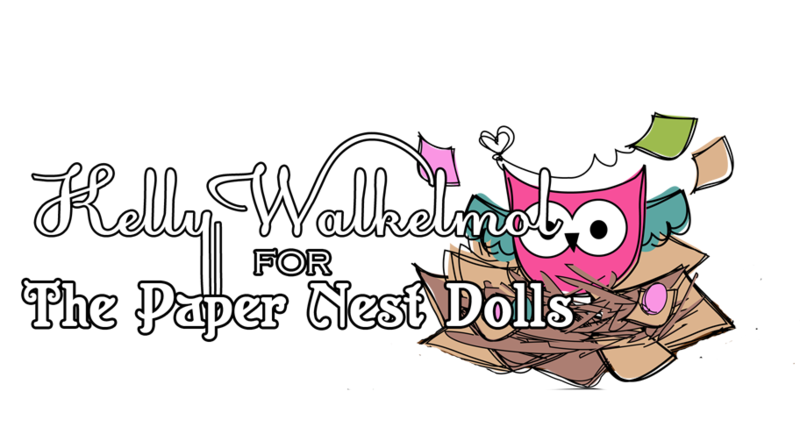 Hi everyone it’s Kelly and I have a design team project for the Paper Nest dolls to share with you. 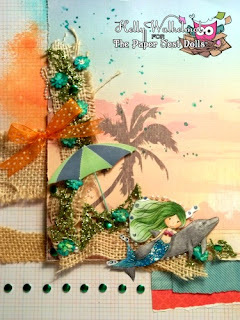 It is the digi mermaid with dolphin. I decided to do a layout instead of a card and I will put pictures on this as soon as they are developed but I used quite a few different techniques here. 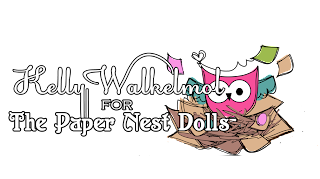 The layout is 12 x 12 and I used mesh burlap, flowers, bling, pearls, metal dots, paper from DCWV, and some Lindy’s Stamp gang sprays on the background paper and some splatters on the smaller mat. 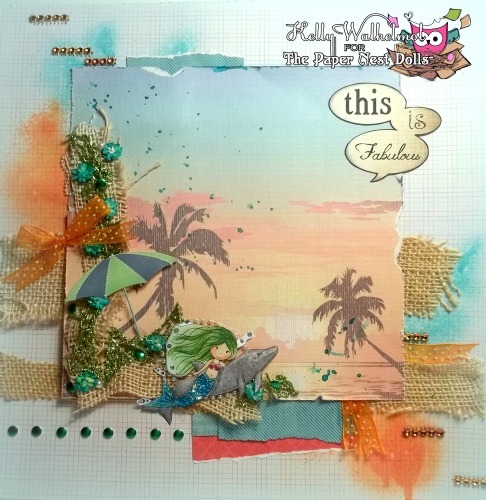 I love this layout and the image it’s great for any beach themed project. The mermaid is super fun to color! I used a “this is fabulous” title because that’s exactly what I think of the beach.